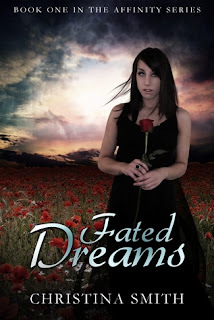 The Cover Contessa: Fated Dreams And Delusiong Giveaway by Christina Smith! 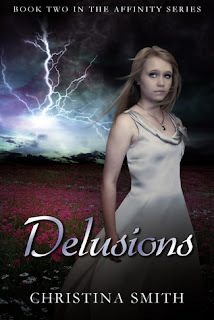 Fated Dreams And Delusiong Giveaway by Christina Smith! Do you believe in true love? Sarah Samson didn’t until she met hers. But for Sarah, meeting the guy of her dreams came with a price. On the outside Sarah looks like she has it all, friends, a loving family, and a hobby she's really good at. But if you look closer, Sarah's keeping secrets, from everyone in her life, even... Lucas. A boy she hardly knows, but still feels a connection with. Life would be perfect, if it wasn't for the constant feeling that someone is following her. She feels a presence everywhere she goes, work, home, even...in her dreams. She suddenly finds herself wrapped up in a dangerous mystery that started eighty years ago involving two tragic deaths. After several attempts on her life, she and Lucas realize they must solve it before history repeats itself. Can Fate be wrong? When all signs point to a certain someone, do you just blindly follow? What if that person turns out to be someone you hate? Could Destiny be so cruel? Lisa Miller is busy with family, work, friends and…revenge. Her last summer in high school should be spent, having fun. But ever since Logan Tate played a prank on her, she spends all of her free time trying to get even.